L'Oreal X-Tenso Rebonding or Setting / Digital Perm7000Haircut 500total7500 SAVE 53% now only P 3500 NOTE:Valid for (1) month from the date of purchased.Strictly applicable in Bangs Prime Salon and T..
Prime Kera-Protein 1500Haircut 800total2200 SAVE 43% now only P 1300.00 NOTE:Valid for (1) month from the date ..
Black Class Rebonding or Setting / Digital Perm 8000Haircut 500total8500 SAVE 47% now only P 4499 NOTE:Valid for (1) month from the date of purchased.Strictly applicable in Bangs Prime Sa.. Hair Color 3000Hair Manicure 2500Haircut 300total6800 SAVE 41% now only P 3999 NOTE:Valid for (1) month from the date of purchased.Strictly applicable in Bangs Prime Salon and Tony.. 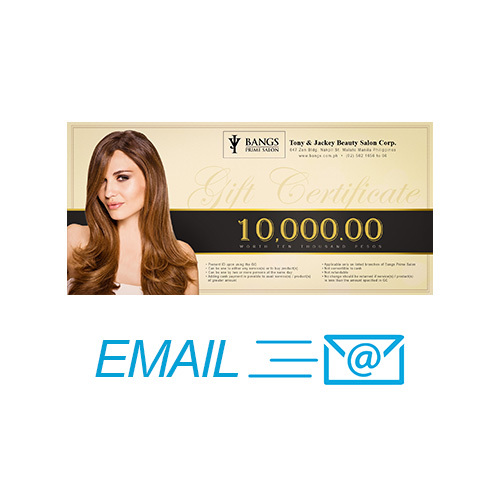 Gift Certificate worth P10,000 for Bang Prime Salon and Tony & Jackey Salon with 5% 0FF NOTE:Strictly applicable in Bangs Prime Salon and Tony branches only. (Excluded:.. 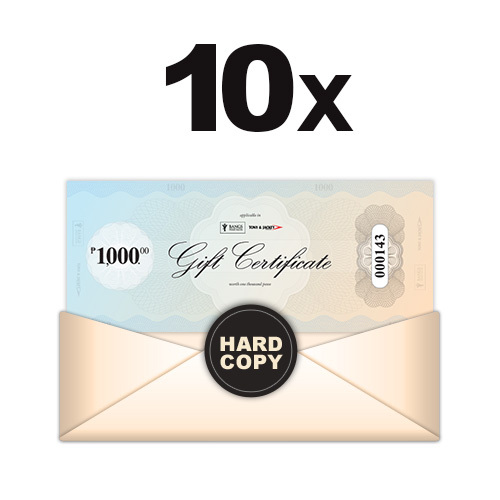 Gift Certificate worth P10,000 for Bang Prime Salon and Tony & Jackey Salon with 5% 0FF NOTE: Strictly appl.. 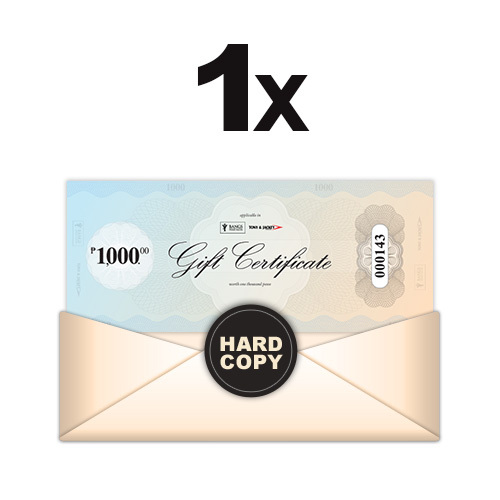 Gift Certificate worth P1,000 for Bang Prime Salon and Tony & Jackey Salon with 5% 0FF NOTE:Strictly applicable in Bangs Prime Salon and Tony branches only. (Excluded: .. 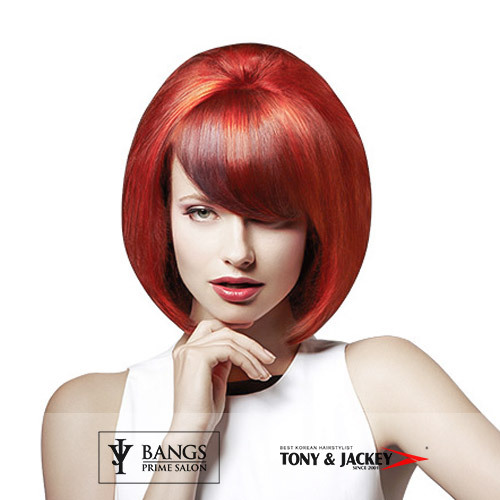 Gift Certificate worth P1,000 for Bang Prime Salon and Tony & Jackey Salon with 5% 0FF NOTE: Strictly appli.. 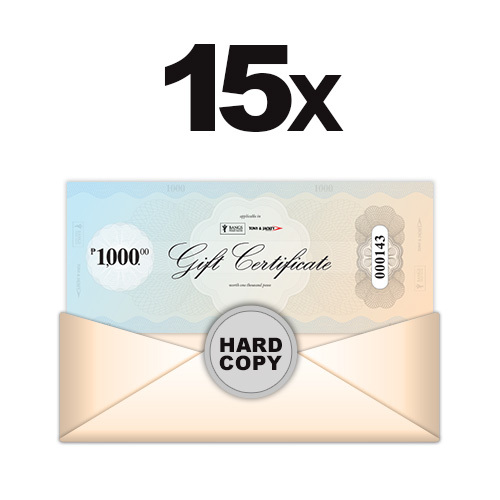 Gift Certificate worth P15,000 for Bang Prime Salon and Tony & Jackey Salon with 5% 0FF NOTE:Strictly applicable in Bangs Prime Salon and Tony branches only. (Excluded:.. 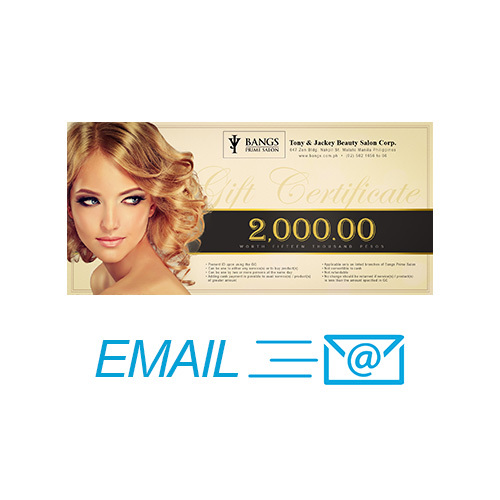 Gift Certificate worth P15,000 for Bang Prime Salon and Tony & Jackey Salon with 5% 0FF NOTE: Strictly appl.. Gift Certificate worth P2,000 for Bang Prime Salon and Tony & Jackey Salon with 5% 0FF NOTE:Strictly applicable in Bangs Prime Salon and Tony branches only. (Excluded: .. 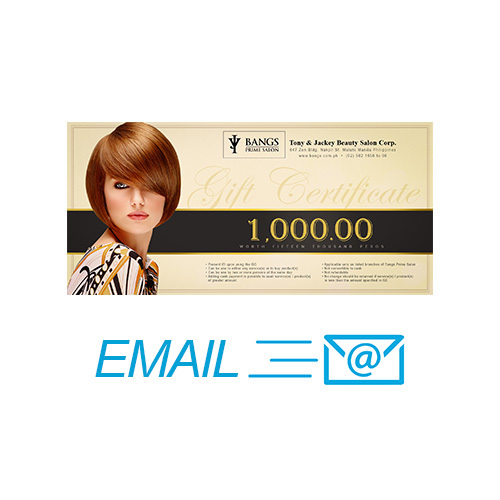 Gift Certificate worth P2,000 for Bang Prime Salon and Tony & Jackey Salon with 5% 0FF NOTE: Strictly appli.. 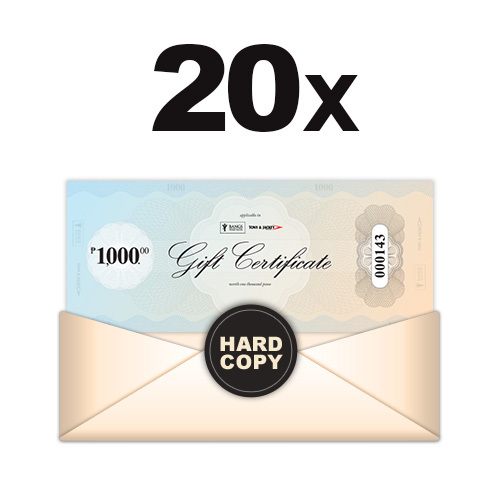 Gift Certificate worth P20,000 for Bang Prime Salon and Tony & Jackey Salon with 5% 0FF NOTE:Strictly applicable in Bangs Prime Salon and Tony branches only. (Exc.. 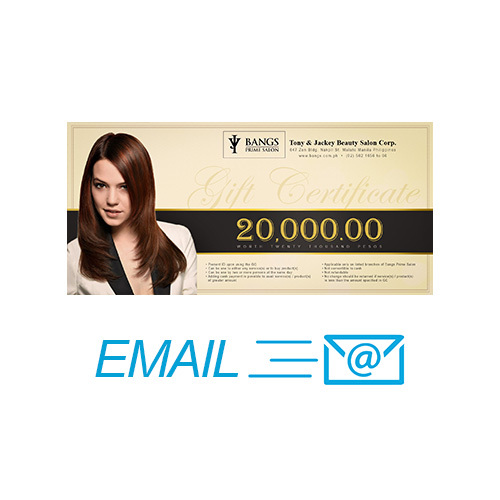 Gift Certificate worth P20,000 for Bang Prime Salon and Tony & Jackey Salon with 5% 0FF NOTE: Strictly appl.. Gift Certificate worth P3,000 for Bang Prime Salon and Tony & Jackey Salon with 5% 0FF NOTE:Strictly applicable in Bangs Prime Salon and Tony branches only. (Excluded: .. 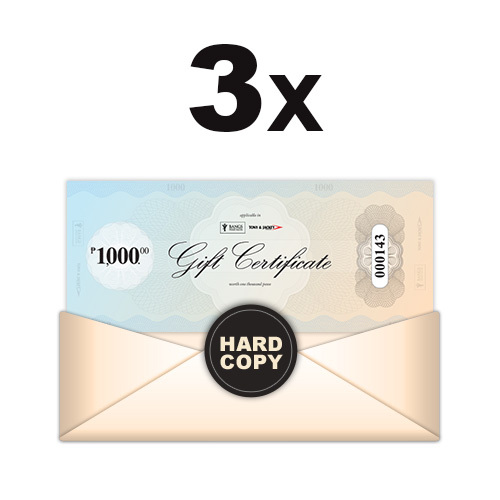 Gift Certificate worth P3,000 for Bang Prime Salon and Tony & Jackey Salon with 5% 0FF NOTE: Strictly appli.. 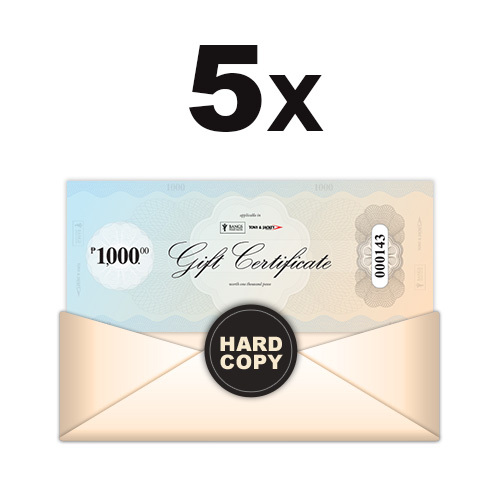 Gift Certificate worth P5,000 for Bang Prime Salon and Tony & Jackey Salon with 5% 0FF NOTE:Strictly applicable in Bangs Prime Salon and Tony branches only. (Excluded: .. 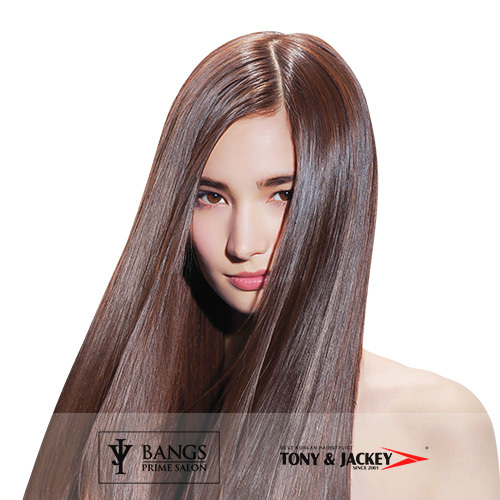 Gift Certificate worth P5,000 for Bang Prime Salon and Tony & Jackey Salon with 5% 0FF NOTE: Strictly appli.. 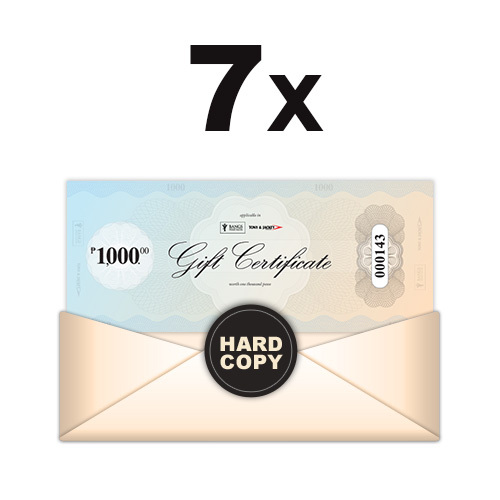 Gift Certificate worth P7,000 for Bang Prime Salon and Tony & Jackey Salon with 5% 0FF NOTE:Strictly applicable in Bangs Prime Salon and Tony branches only. (Excluded: .. 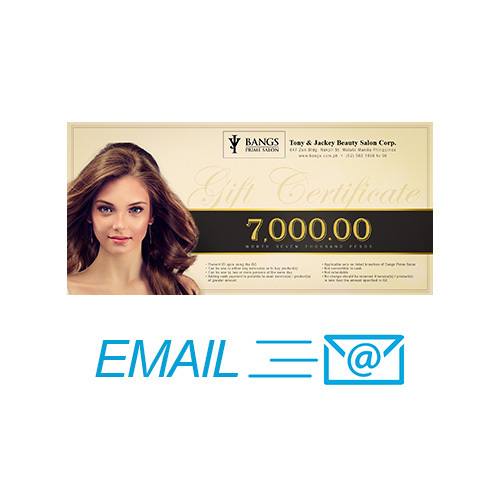 Gift Certificate worth P7,000 for Bang Prime Salon and Tony & Jackey Salon with 5% 0FF NOTE: Strictly appli.. Hair Color 3000Mucota Scena Clinic 6500Haircut 800total18000 SAVE 50% now only P 4999 NOTE:Valid for (1) month from the date of purchased.Strictly applicable in Bangs Prime Salon a..
Mucota CS+ Treatment 4500total4500 SAVE 50% now only P 2250 NOTE:Valid for (1) month from the date of purchased.Strictly applicable in Bangs Prime Salon and Tony & Jackey branches only. (Excluded: ..
SCENA Adel + Brava + Calore + Ethos 6500total6500 SAVE 50% now only P 3250 NOTE:Valid for (1) month from the date of purchased.Strictly applicable in Bangs Prime Salon and Tony & Jackey branches only.&n..
Prime Aqua Rebonding or Setting / Digital Perm5000Haircut 500total5500 SAVE 63% now only P 1999 NOTE:Valid for (1) month from the date of purchased.Strictly applicable in Bangs Prime Salon and Tony &..